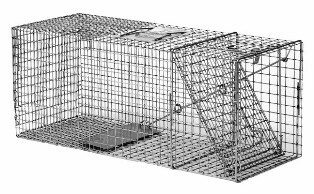 *Note: Additional shipping charges may apply to certain zip codes and on multiple cage traps shipped. TIP: Bait placement should be all the way to the rear of the trap, beyond the triggering pan. DO NOT smear or place directly on the triggering pan. You want the animal to pass over and onto the triggering pan with their focus and attention on the bait.